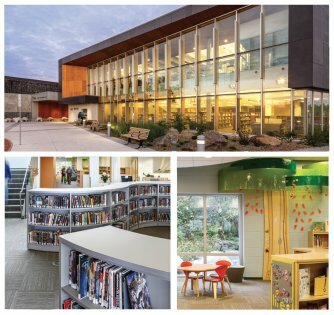 Beaverbrook is one of a series of postings on new and recently renovated Ottawa Public Library facilities. They illustrate a culture and ongoing program of restoration and renewal throughout the OPL system. READ is delighted to be helping to restore and renew the Rosemount branch. 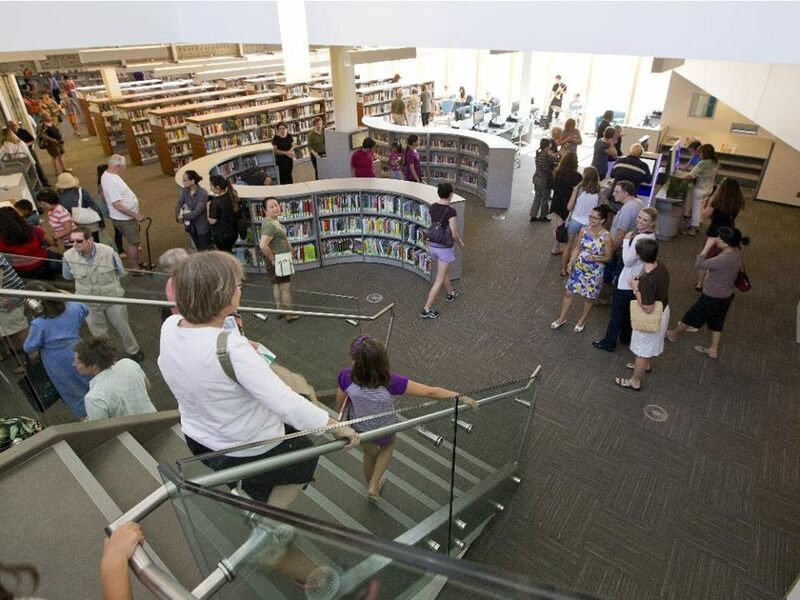 The branch was closed from February 19, 2013 to August 5, 2014 to receive extensive renovations and an expansion from 10,691 sf to 24,000 sf at this same location. This award winning branch now features two public meeting rooms, as well as numerous small rooms for group work. 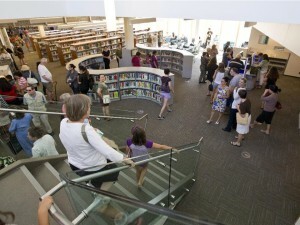 There is an expanded children’s area, increased seating, and a book store run by the Friends of the OPL. The Kanata Room houses the stained glass window designed and produced by Beaverbrook customers – a colourful reminder of the community spirit that lives in the branch.Local artist Christopher Griffin was inspired by the natural ecosystems of Kanata and the South March Highlands and features the Blanding’s Turtle, an important local species as well as other indigenous flora and fauna in his gestural concrete murals and 3D turtles that adorn the branch. 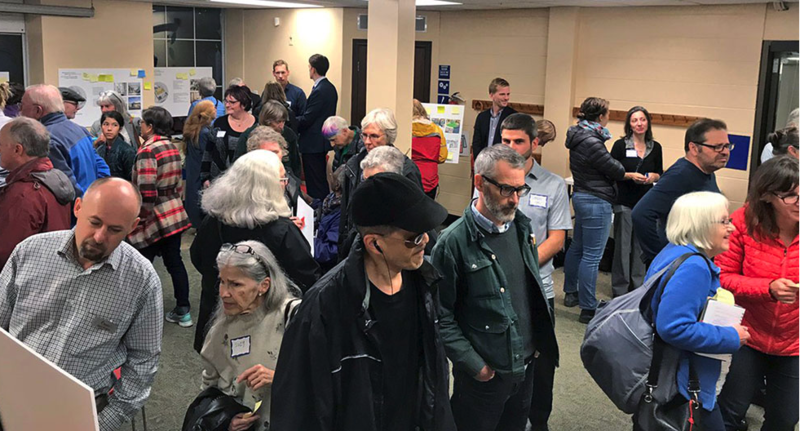 Library service in the Beaverbrook area started in a room, in a community centre, in 1967. In 1970, it moved to a space next to the firehall. 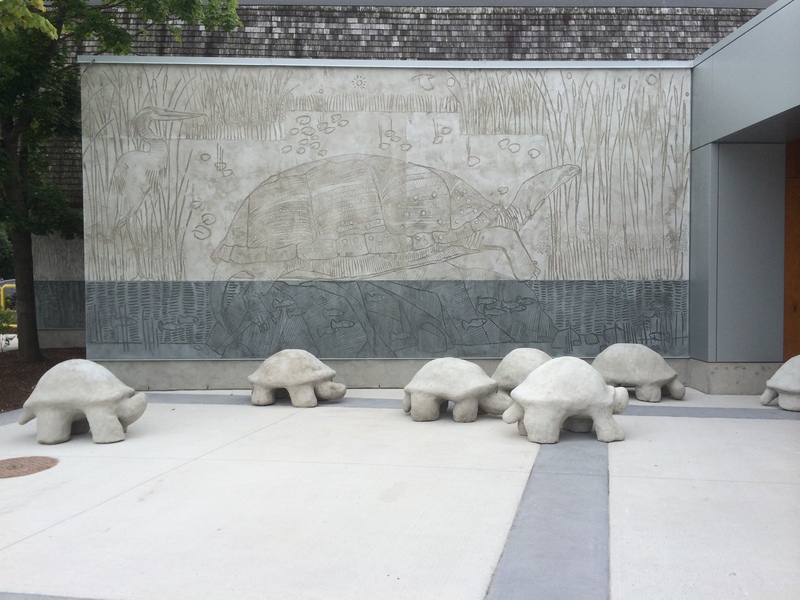 A new building next to the Mlacak Centre opened in 1996, and the branch found a new home.